Home // Ingleside // Is There a Place for Me? Our answer reflects the spirit of Romans 15:7, which says: “Therefore welcome one another as Christ has welcomed you, for the glory of God” (ESV). Of course, the specific questions newcomers may ask are often more detailed, nuanced, and personalized. 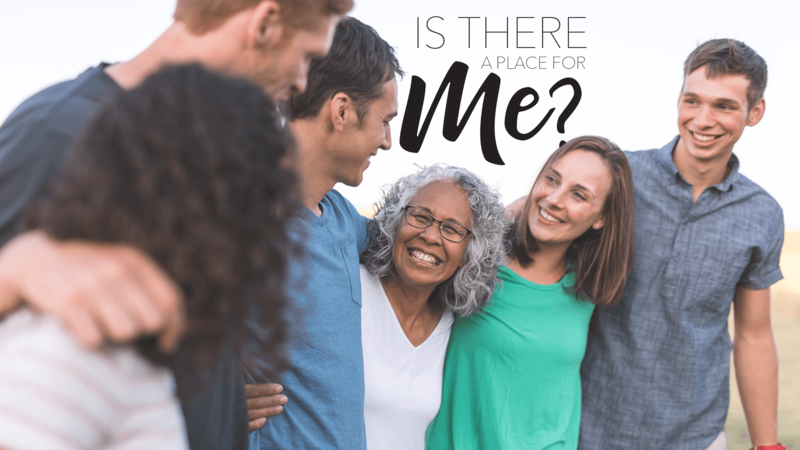 “Is there a place for someone my age?” Yes! We have long affirmed that we are “a multi-generational church with a next generation orientation.” We welcome people of all ages and life stages, and we intentionally invest in reaching the next generation! “Is there a place for someone of my ethnicity?” Yes! We welcome people “from every tribe and language and people and nation” (Revelation 5:9). We believe what we have taught our children for years: “Red, yellow, black, and white; all are precious in his sight!” All are created in the image of God, and all are welcome here! “Is there a place for my kids?” Yes! We follow Jesus’ example and command when he said, “Let the children come to me’ (Mark 10:14). We have vibrant and robust ministries for nesting-stage families. Ingleside is a place where your kids can flourish! “Is there a place for me to serve, to add value, and to make a difference?” Yes! We want you to use your gifts, talents, and passions to serve others in Jesus’ name. Led by our pastors and ministers, there’s a place for you on our team! “Is there a place for me to find a friend, to belong, and to grow?” Yes! There are many classes, groups, studies, and other affinity groups to help you connect and develop relationships that matter. The more you invest, the more you will benefit from participation in our church family! Because we have been saying “Yes!” for many years now, our church has grown significantly. But even now, there’s still room for you. So, if you have a heart to know God, to follow Jesus Christ, to obey his word, and to walk in his Spirit, I can say with confidence: there’s a place for you!